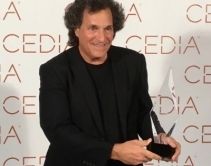 By Jason Knott · September 7, 2018 • Imaging Science Foundation founder Joel Silver feted by CEDIA, credited with creating calibration business. By Jason Knott · September 8, 2017 • Bodley challenges entire channel to continue education, create better workforce development, and fight legislative battles hurting the industry. By Jason Knott · July 24, 2017 • Eric Bodley, former CE Pro 100 integrator, past president of CEDIA, and current president and CEO of Future Ready Solutions and Bodley and Associates, is named 2017 CEDIA Lifetime Achievement Award winner. Can 4K Signal Distribution’s ‘Black Hole’ Be Solved? By Jason Knott · October 24, 2016 • There is a 'Black Hole' between 16 feet and 35 feet in terms of cost effectiveness between copper and fiber to distribute signal 4K content. By Jason Knott · August 26, 2016 • Future Ready Solutions brings together a Dream Team of connectivity experts from Cleerline Technology Group, Kordz, Celerity, Transparent Audio and others to assist technologists with wire, cable and fiber solutions. 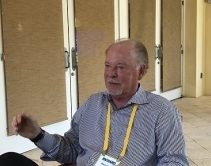 By Jason Knott · January 9, 2015 • At 2015 International CES, industry veteran Eric Bodley was named the recipient of the CEA's coveted TechHome Leadership Award for his longtime service.